Also that season, the club had their best FA Cup run of recent times when they reached the 2nd Qualifying Round. Atherton Collieries, St Helens Town and Camel Laird were beaten before Evostik League side ended their run with a 4-1 win, It was their best ever progress since the 1950’s when they reached the 3rd Qualifying Round. The few seasons in the FA Trophy that they had proved unsuccessful but they did reach the 3rd Round of the FA Vase back in 1993-94. A couple of local cups have been won, most recently the North West Counties Challenge Cup in 2011-12. I’d initially hoped to go to an FA Cup replay on this day, which would be the last of my mini-break in the north-west. But despite 7 possible chances, none of them came in, the last was Padiham who triumphed 2-1 over Whickham, a game which I took keen interest in following whilst I was at the Epsom & Ewell v Erith & Belvedere game. 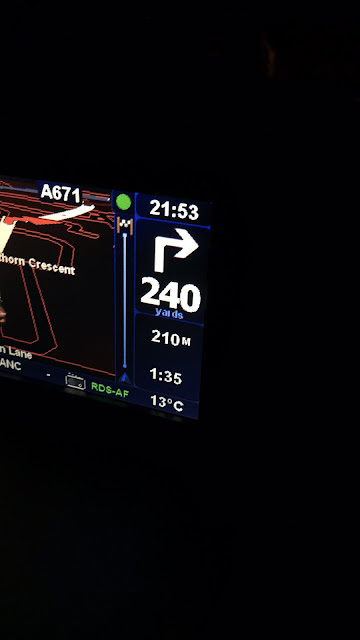 I made my choice while stuck on the M25 on the way home from that game from a shortlist of 3. 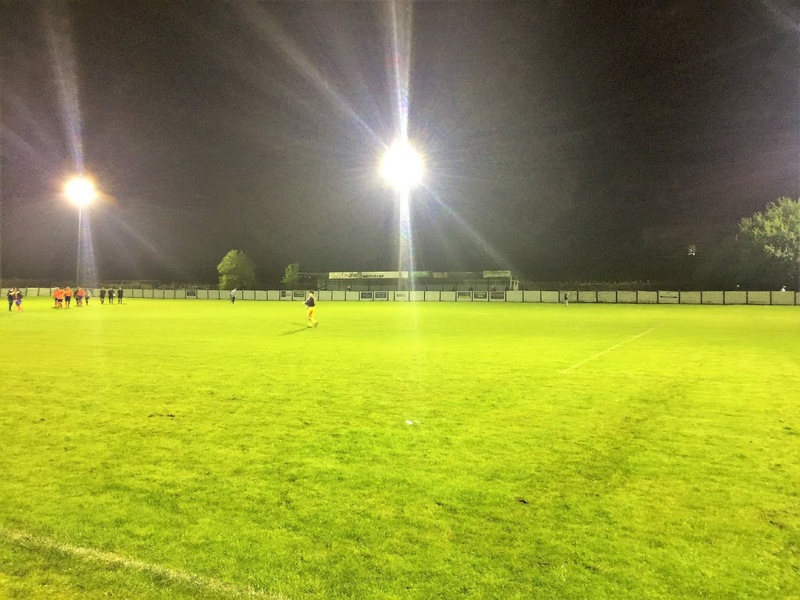 The other 2 contenders were Padiham v Barnoldswick Town (lost out due to not obliging with an FA Cup replay) and Eccleshall (who were discounted due to it being two-thirds of the way home. I almost considered a complete change of location for my trip just to get an FA Cup game in though. But in the end, I looked back at my pictures from when I visited for pictures back in January 2008 before Wycombe’s 2-0 win at Accrington Stanley. It was a proper old school ground, but I was hoping for better weather on this visit as the whole place was deep in snow on that winters morning. On the day of the game, I woke just before 7. 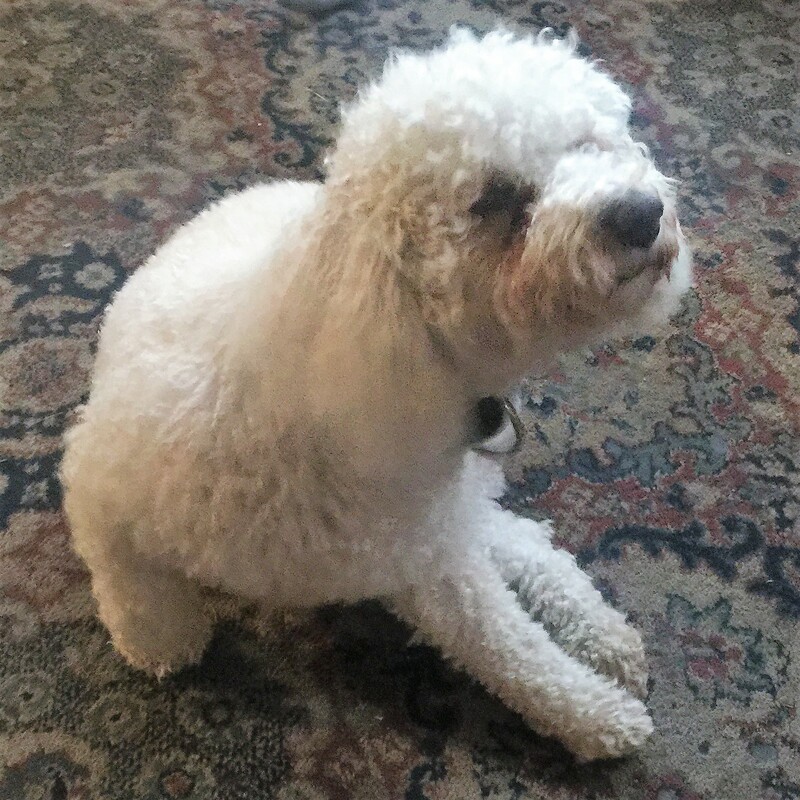 After a breakfast of fondant fancies and grapes of had a shower and got on my way at 8.30. I had to stop at Morrisons to get some cash out. To my dismay, I only had £20 without going into overdraft so I drew that out. Thankfully it's only a quid a say interest if the worst comes to the worst but I'm still hoping payday comes along soon. 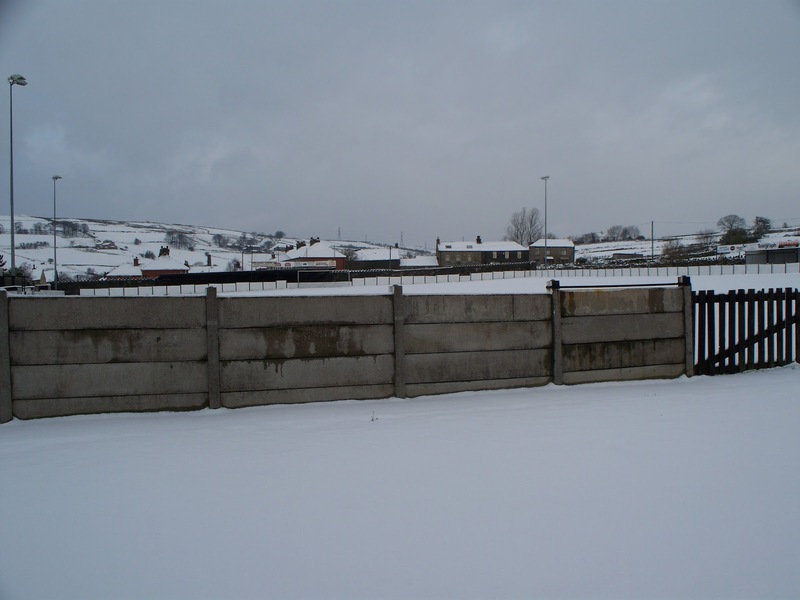 I got to Bacup around 9.20 and parked up near the ground. After a brisk walk into town, I only had a few minutes wait to get a bus which cost me £4.70 return to Rochdale. It was about the same again for the Rochdale to Manchester leg and by 11.30 I was in the city centre. I'd planned to meet Sam, a Macclesfield Town fan who I knew off of Facebook. 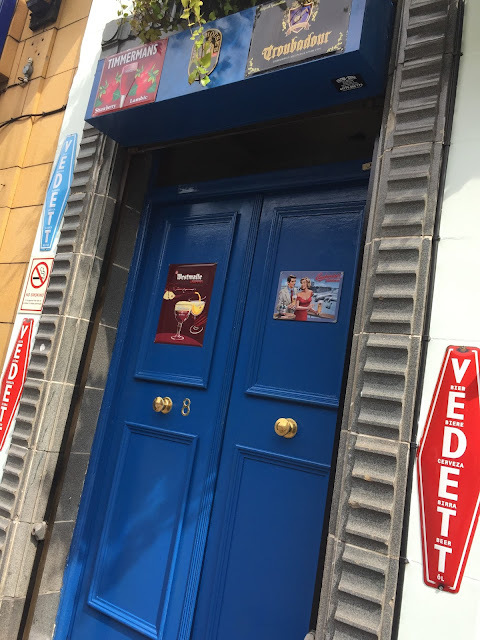 We had a brief look round the football museum before going for a pint at a pub called 'Fringe Bar' After we had lunch at Taco Bell in the Arndale Centre before we said our goodbyes. It was good to meet a fellow footy fan as I had plenty of time on my hands. After that, I went to some more shops and walked halfway across Manchester to go to The Font bar which did a great range of cider. I settled for a pint of 'Butcher's Boy' before making my way to the tram stop. It was raining by now but not too heavy. By 3 I was back at Picadilly Station and on the way to Rochdale for my connecting tram. I had time to kill so I had a look round Rochdale for a bit. I got a drink and some crisps from Poundland as well as walking around the shops. The rain was a bit heavier by now but it started to abate as I got on the bus. It was still light rain though, even when I got to Bacup at 5.45. I had a 10-minute walk around town before walking up to the ground. I was looking forward to my pie later which is a homemade speciality at the ground. Even so, I still got myself some chips to eat on the way. When I got to the ground I paid £6 to get in. I also picked up the famous Prem Pie and a programme. The pie was mainly vegetables and normally I don't like that sort of thing but it was delicious. There was a friendly dog called Dexter too, in fact everyone at the club was really nice. 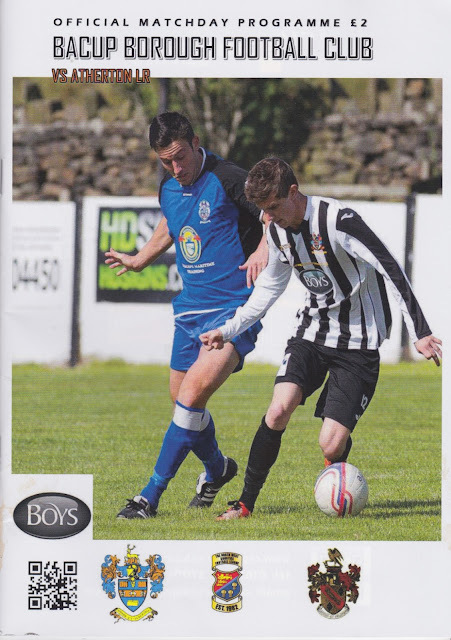 I bought a copy of the North West non-league magazine for a bargain £1 and checked Facebook while I waited for the game to start. I was chatting to the referee who somehow knew I had come from Wycombe. He had been referee at one of the Eastern Counties hops that went on a couple of years ago. I also talked to a friendly Oldham fan who had been at the Coleshill Town 11-0 Ellesmere Rangers game I was at last Friday. 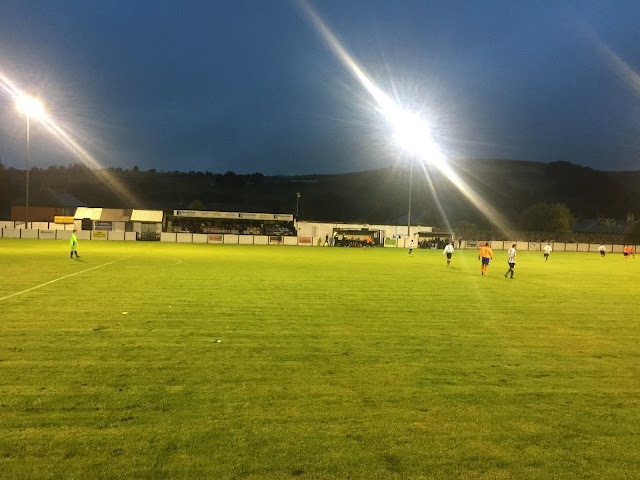 After really struggling and barely winning a game for the past 2 seasons, Bacup Borough had started the season in an entertaining but defensively disorganised fashion. 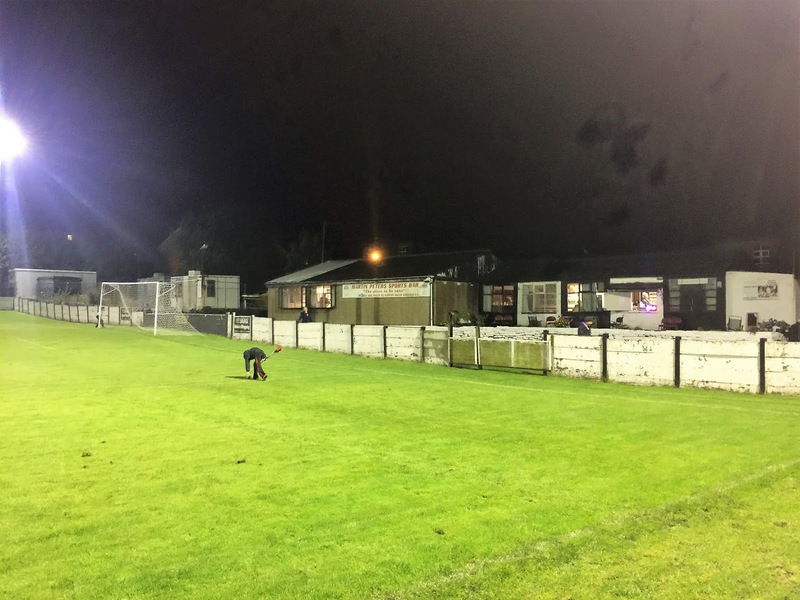 On the opening day they threw away a 4-1 lead to draw 5-5 with Cheadle Town. 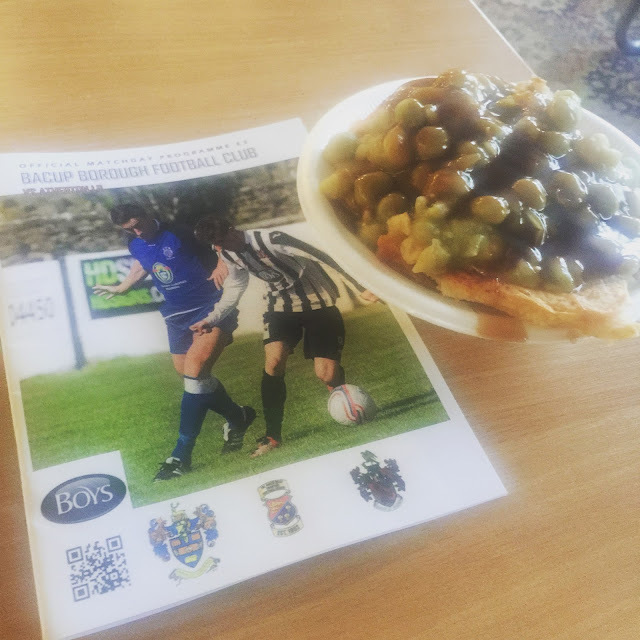 This was followed up with a 5-2 defeat up at Barrow-based Holker Old Boys. They started this game well in control and took the lead on 23 minutes with a well-taken goal from inside the area. Atherton LR did improve as the half wore on but spent a lot of the time protesting the referee's decisions. They may have had a point with some of them but the official was doing his best and was never going to change his mind. 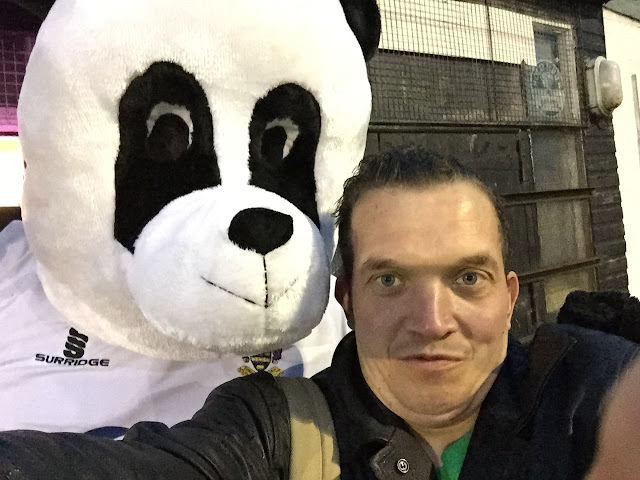 At half time I got my picture with Pedro the Panda, the Bacup Borough mascot. The visitors were much the stronger side as the second half kicked off and had one cleared off the line. But gradually Bacup came back into it and they further extended their lead on 65 minutes when they got away from the visiting defence and slotted past the keeper. There was a suspicion offside and the players and officials of Atherton LR were not shy to let their feelings be known. They got a goal back a few minutes later with a header from a great cross. 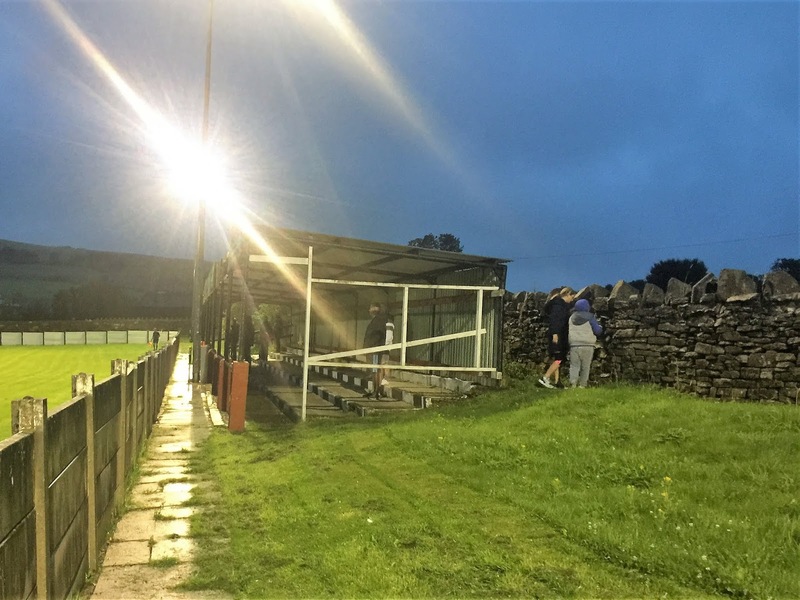 The equaliser came with 10 minutes to go coming off the post and bar and a minute later the visitors had the lead leaving Bacup completely shell-shocked. They stepped up their game and had a shot cleared off the line with around 5 minutes to go. After the game I had a huge 4 hour drive home, with me leaving just before 10. A whole load of roadworks didn't help my progress, but at least we kept moving. I also had a couple of stops - first at Knutsford for a toilet stop and then at Frankley as I felt exhausted. A couple of energy tablets, a can of Irn Bru and a couple of cakes perked me up a bit and I was back by 1.35am. I unpacked before watching Corrie and some of Wheeler Dealers. It was 3am when I got to sleep and I had a good nights kip for once, getting up at 11.30. It had been a great few days away, but a highly expensive one, costing me about £200 all in, of which £150 I added to my 'football costs' for the season. 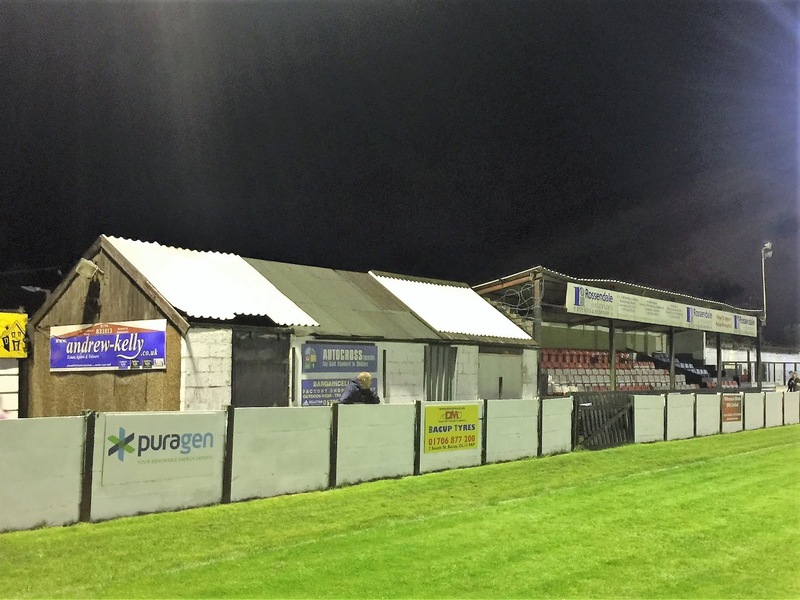 WEST VIEW (or the Brian Boys Stadium as it is known for sponsorship purposes) is a cracking little ground and a very good one for step 6. It would probably be good enough for step 3 at a push. The main stand holds around 150 and has great leg room as well as decent views despite the supporting pillars. Opposite is a covered terrace holding around 400. Behind one goal there is cover, but it is closed off due to safety reasons. The remaining end is open with a small bit of terracing. 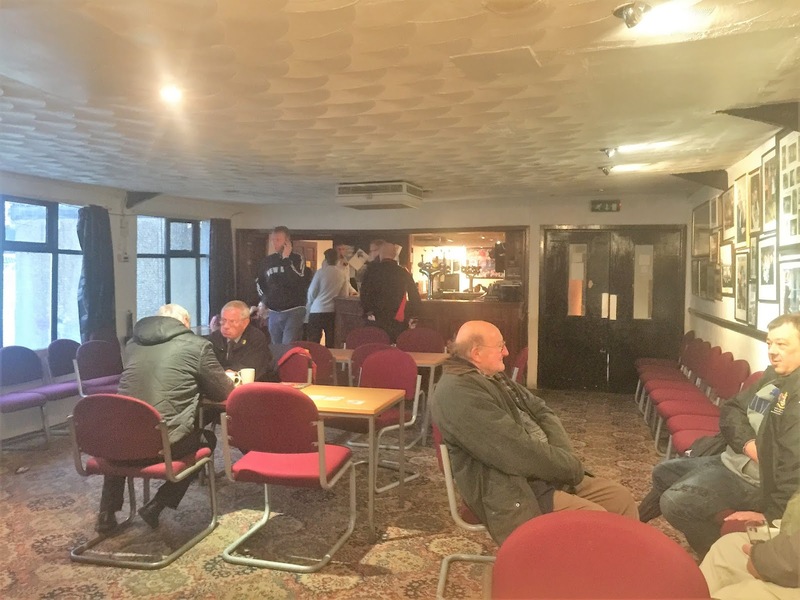 This end houses the clubhouse and this is the hub of the club. There's a huge range of old pictures and articles on the wall. Drinks wise there was Strongbow for cider drinkers as well as a range of other drinks. For food, the famous "Prem Pie' lived up to its reputation, being very nice. Scarves and pin badges were also available. All in all, it was a nice visit to a very friendly club and was well worth going out of my way to visit.